HP's recently introduced TouchSmart PC is already proving to be a modest hit with reviewers and consumers alike in spite of its massive 20kg bulk. So the latest tweak made to the iMac wannabe in Japan can only add to the appeal. 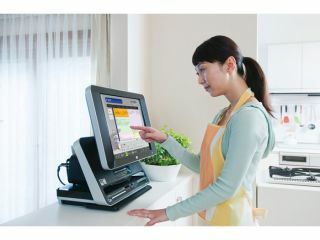 A new model costing ¥228,900 (£1,015) joins the Japanese TouchSmart line-up immediately, bringing digital television to the mix in the form of one of the 1-seg tuners that are all the rage there. Naturally, electronic program guide (EPG) software comes pre-installed and operation is either through the touch-sensitive screen or the included remote handset a la Windows Media Centre. Other specs have received slight upgrades too - the CPU is now a 2.2GHz AMD Turion X2, while the hard drive is bumped up to 500GB. Should that be inadequate, HP has also announced a larger 250GB version of the removable Pocket Media Drive for ¥23,100 (£102).